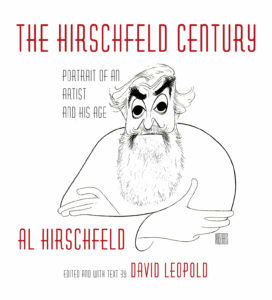 Welcome to the Al Hirschfeld Foundation Shop, where visitors can find examples of his drawing, painting and printmaking, as well as books and other merchandise featuring his remarkable nine decades of artwork. 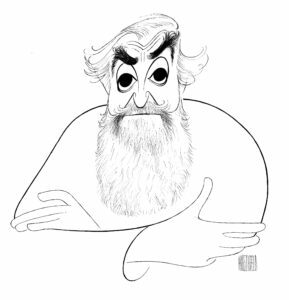 All proceeds from this site directly benefit the non-profit Al Hirschfeld Foundation and its educational mission. 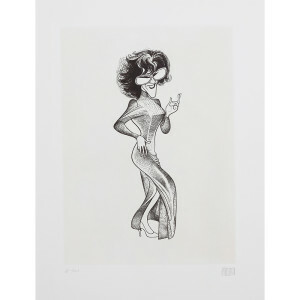 A majority of the items seen here are rare artist’s proofs of Hirschfeld’s limited edition lithographs and etchings. For many years these prints were in the artist’s studio close to his barber chair and drawing table. 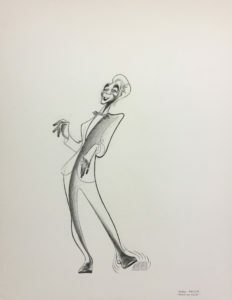 In any Hirschfeld limited edition of prints, a small number of additional prints (frequently 10% of the edition size, for example an edition of 100 may have 10 artist proofs) were marked “artist’s proof” (A/P) and were kept by Hirschfeld. Over the years, it was these artist’s proofs that Hirschfeld would loan to exhibitions, or give or sell to museums, patrons and friends. Because the number of artist’s proofs from any edition is small, they are highly collectible, and can appreciate as much, if not faster, than prints in the regular edition. Each print was hand-signed by the artist and numbered, and is accompanied by a certificate of authenticity. This is the first time these works have been offered to the public, and quantities are extremely limited.